I got out of the house in good time today with a great location in mind but ended up here as the other spot (still on my list) was inaccessible this morning. 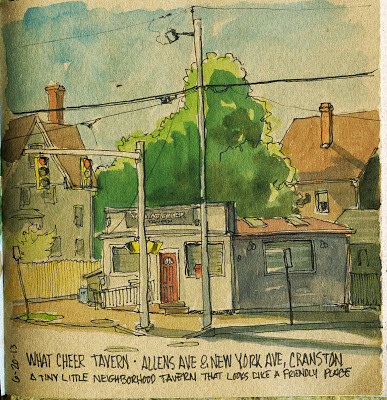 This is the What Cheer Tavern and when I drew it I though I was in Cranston but when I checked I was actually in Providence. . . .This has got to be one of the smallest taverns I have ever seen - gotta be a cozy place inside. 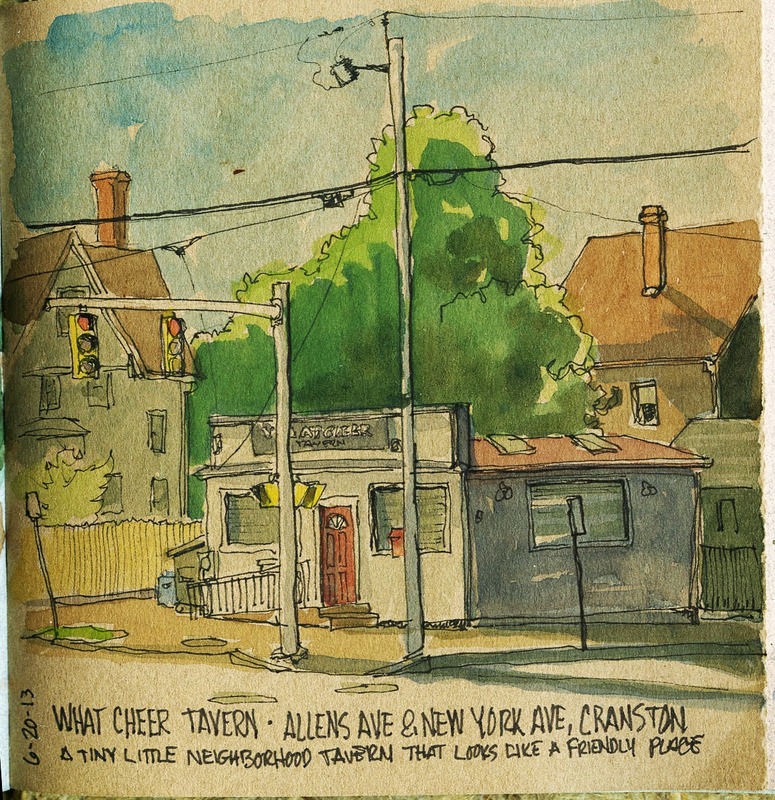 And for those who don't know "What Cheer" was a very confusing statement by Rhode Island founder Roger Williams... must have confused the hell out of the natives... so What Cheer Netop!